The intimate Aurora Theatre Studio is transformed to make audiences feel as though they’ve been personally invited into Mr. Dickens’ parlor. The scene is set as a brisk Christmas Eve, when Marley pays a visit to his old business partner, Mr. Scrooge. Through mannerisms and voice alone, Rodriguez brings the characters of Ebenezer Scrooge, Bob Cratchit, Jacob Marley and the remarkable ghosts to life before audience members’ eyes. 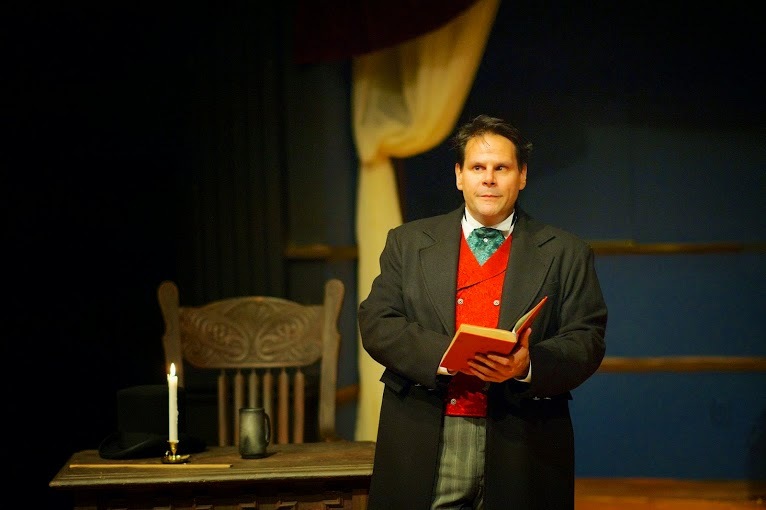 Throughout the play, audiences witness the change of “Bah-humbug” Scrooge through scenes from his own life and revisit the splendor of what makes A Christmas Carol one of the greatest Christmas stories of all time. The hard work and guidance of Director Tony Brown sets his adaption of A Christmas Carol apart from other renditions. Bringing the tale to life is the design team of Britt Hultgren Ramroop (set), James M. Helms (lights), Daniel Terry (sound/ technical director), Alan Yeong (costumes), and Sarah Thomson (scenic artist). 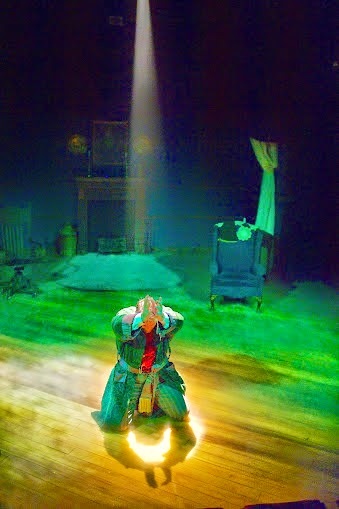 Audiences of all ages will love A Christmas Carol, which is presented November 28-December 21, 2014. Tickets range from $20-$30.Tickets can be purchased online at tickets.auroratheatre.com or by calling the Box Office at 678.226.6222. Friday, November 28 at 8 p.m.
Saturday, November 29 at 1:30 p.m.
Sunday, November 30 at 2:30 p.m.
Thursday, December 4, Saturday, December 6, Wednesday, December 10 and Friday, December 12 at 8 p.m.
Sunday, December 14 at 2:30 p.m.
Thursday, December 18 and Saturday, December 20 at 8 p.m.
Sunday, December 21 at 2:30 p.m.